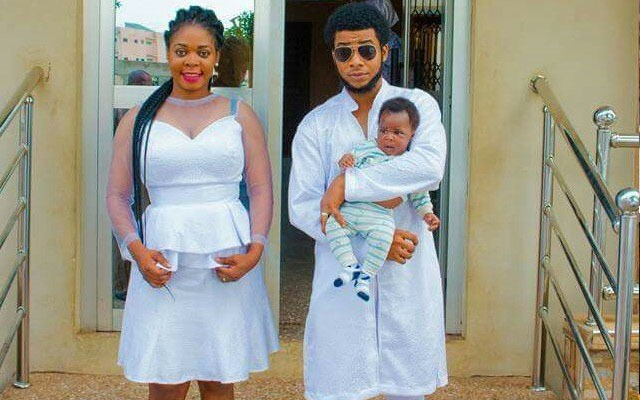 The husband and baby father of former HIV/AIDS Ambassador Joyce Dzidzor is dead–according to a social media post by Joyce and others who seem to know the couple. Joyce Dzidzor made headlines in 2014 when after parading herself as Ghana’s HIV/AIDS Ambassador and claiming in dozens of commercials as being HIV positive suddenly switched, claiming she was never HIV positive. Last year, she wrote a letter to the then President of Ghana-John Dramani Mahama to recant her recantation of her status in 2014. She stated in her letter that the stigma attached to HIV/AIDS, which seriously affected her and her children, caused her to change her tune. She asked for compensation for her work at the AIDS Commission as her contract was terminated unjustly. This was after it emerged that she had safely given birth. 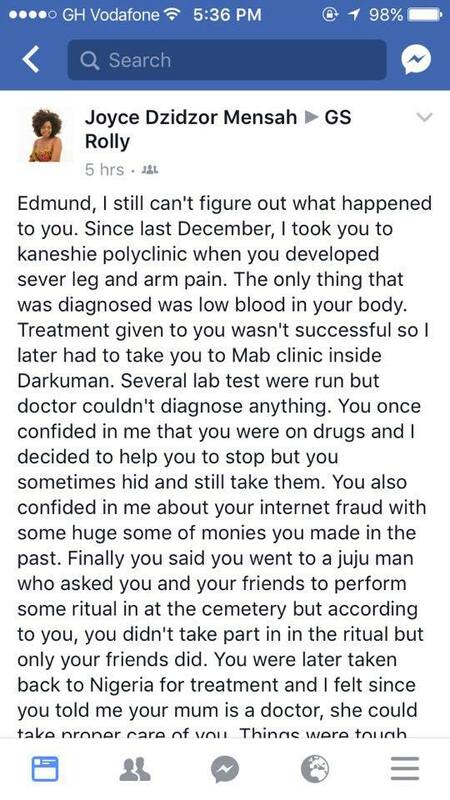 Now, Joyce Dzidzor says her husband and father of the child she gave birth to in 2016 has died and the tribute she wrote on Facebook will make you wonder if all her wires are well placed in her head. When it comes to Joyce Dzidzor, you never know what the hell to believe!